A single 50cm rose in a presentation box (Including Vase). A beautiful box of 12x 50cm red roses. Seduce someone today!
" 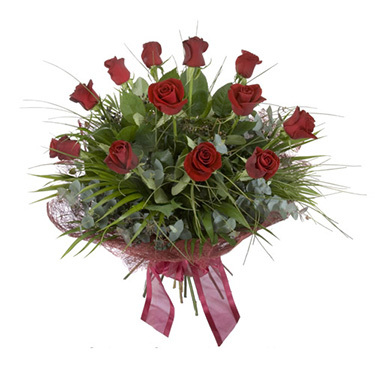 Now & Forever "
For the true romantics a dozen 50cm red roses already arranged for you. A bouqet of 12x 50cm red roses. Why not add a vase to complete this gift? 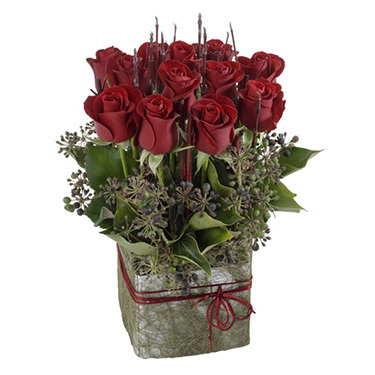 A box arrangement with a dozen 40cm red roses (Including Box). 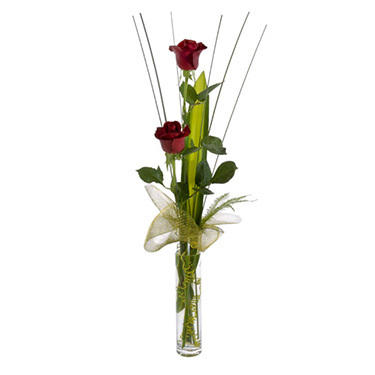 A glass vase containing two red roses (Including Vase).